The term “sales enablement” seems to be popping up everywhere nowadays. If you’re a salesperson, whether you’re noticing it or not, chances are you see the term a few times a week on social media platforms, blogs, etc. 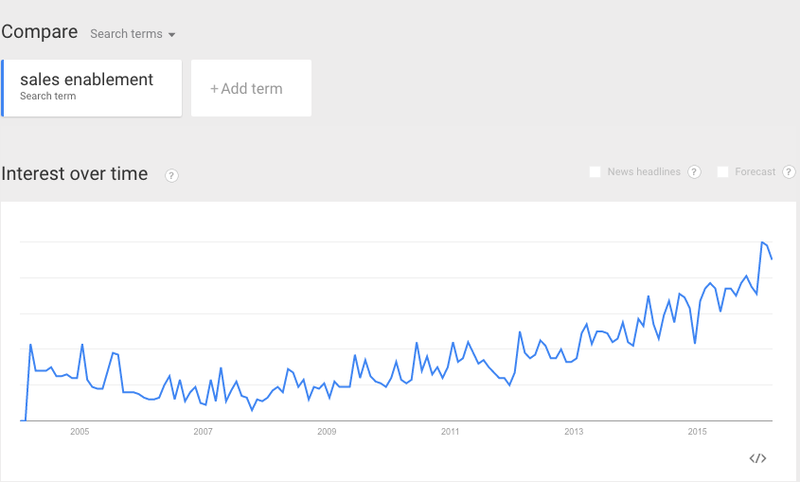 According to Google Trends, sales enablement became a popular term in 2010 and has stuck around for a few years now. So what’s the deal with this trend? And why is it an important one to implement into your sales process? Seems like a pretty smart trend to follow, right? We sure think so. I mean, who doesn’t want to arm their sales team with the right tools, resources and information they need to increase revenue? Like we've mentioned before about knowledge sharing, as companies grow, the pain of not having key knowledge available about their products, their people, their markets, their partners, etc. is crippling. Analysts report that we spend up to a third of our time just trying to find and verify key knowledge we need to do our jobs! It’s important to stay on top of trends, knowledge, and tools that you can share with your team. Particularly, ones that will increase your bottom line. But, sometimes it’s hard to find the right resources to do so. That’s why we’re here to help you keep up with sales trends, so you can learn about new, useful information for your sales team faster. Forrester Research is one of the most influential research and advisory firms in the world. They, arguably, are the ones who coined the term “sales enablement”, and I don’t know if anyone would truly argue with that. Their most covered topics include B2B marketing, competitive intelligence, sales training, content marketing, social media and more. Forrester focuses on bringing researched based content to you, like in their post “Don’t Plan A Go-To-Market Strategy For 2016; Create Your Go-To-Customer Plan”. Started in 2013, Close.io is a sales communication platform that is growing quickly. Their blog is extremely useful, and consistently delivers useful articles like “5 sales mistakes costing you time & money”. You might not be surprised that we’re a fan of Close.io’s blog, since their CEO and Founder Stefi is also on our list of the best SaaS sales enablement Twitter accounts to follow. SBI is a sales and marketing consultancy that regularly produces solid content to help B2B companies with sales. They have a number of different highly qualified authors who contribute great content like: “10 Tips To Identifying Your Key Markets”, and “Here's A Better Way to Develop Your Sales Plan”. HubSpot develops a cloud-based Inbound marketing software that allows businesses to transform the way that they market online, and their rise to the top has been on the shoulders of their incredible content marketing. They have three sections of their blog you can subscribe to, and their Sales blog is very reliable in terms of quality and quantity. Tons of articles are made for you to use right away in your job, such as “10 Email Subject Line Lessons (Straight From My Inbox)”. Heinz is a marketing agency with a blog created to help B2B companies market themselves better and sell more. Similar to Hubspot, they often share specific tactics and strategies you can use immediately, like their “Best Practices for Implementing a Winning Account-Based Marketing Strategy”, and “Six strategies for overcoming price objections”. With so much incredible content, how do you utilize the best of the best? Keeping track of the best articles and using them to train your sales reps can definitely become an overwhelming task, which is one of the main benefits of using a knowledge management system such as Guru. If you’re interested in getting weekly updates from our blog, don’t forget to subscribe by leaving your email. 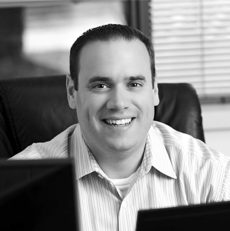 Do you have a favorite sales enablement blog, or have a question for us? Reach out to us on Twitter!